Community Connections is a unique non-profit, human service organization. Our services cover the life span of individuals and are designed to assist with developing independence, learning new skills and living in the community of one's choice. We provide early intervention for children ages birth to three, comprehensive mental health to children and their families, services for individuals with developmental disabilities, and services for elders and adults with physical disabilities. 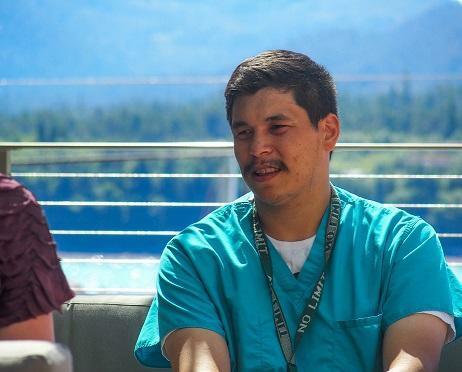 We have just completed over 32 years of service, and currently serve roughly 700 people annually in Ketchikan, Metlakatla, and on Prince of Wales Island. We have over 200 employees who help serve our clients. Our services are grouped into three programs, Early Learning, Children's Mental Health, and Senior & Disability Services. All three vibrant programs operate under the shared belief of community-based principles and core values. This shared belief holds us together and helps us stay focused on the founding principles. Michael was referred to the Community Connections Developmental Disabilities program about five years ago. 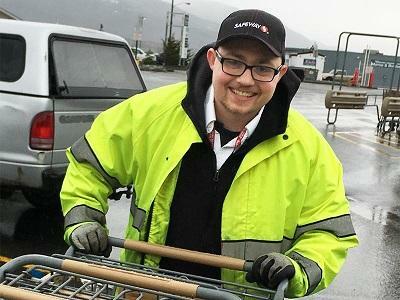 He was able to receive supported employment services through the Community Connections program. Now, he is a paid employee at the local grocery store, Safeway, where he works as a courtesy clerk. “He's doing really great. We're proud of that guy,” said Lance Haynes, Employment Services Manager at Community Connections. “Michael's living on his own, he cooks his own food. The personal growth has been tremendous.” Michael lives in his own apartment with his cat Han Solo. Caleb is a very hands-on person, he likes to go fishing, play baseball, and be outdoors. But he had some very challenging, out of control behaviors that his parents were getting overwhelmed with. They worked with Community Connections to develop goals and figure out strategies to help work with Caleb. Now, he is more able to participate in the community because he is better behaved and his parents don't have to worry about disrupting other people. “The most valuable lesson is to realize that your kids are people too. They have their own wants and desires. I am continuing to grow and learn right along with my children,” says one of his parents. Your support helps to fill in the gaps in services, and meet needs that otherwise would go unmet. To make a donation anytime and to learn more, please visit our website ComConnections.org.